How to make Corporate Event Special..!! People love good food, hang out with friends, have champagne, spend quality time with family or plan get-together for a dinner; sounds like fun. BUT if you are planning for a corporate event whether it’s a conference, a training, the product launch, an appreciation, a staff party or an annual gathering; it might be challenging for you! One thing that comes in mind is the number of tasks you want to endure and make more efforts for a successful event to happen. You ponder about the event preparations, the goals, the venue, guest lists, formal decor theme which need to be finalised as the event date is around the corner. Dealing with guests is yet another challenge, as no people are the same. Need to hire staff who will attend the guests. Utmost care needs to be taken, especially during the corporate event else will create a lot of chaos. You dwell on the MENU, the toughest part of planning any event. You start jotting down the list so much and so on that you end up being crazy and go bonkers. Nowadays catering and event services are outsourced, which gives flexibility and is a smart way to do. A client can work on other essential tasks of corporate event. 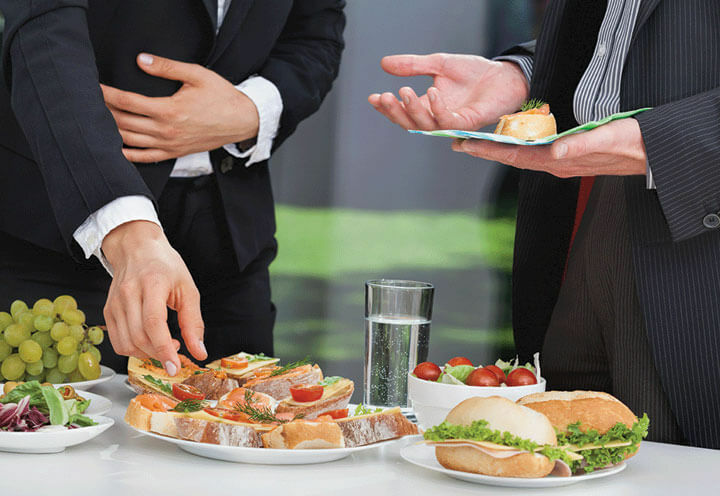 Following are a few suggestions which can make your corporate event a smooth, hassle-free event. One on one planning before any event results in the stress-free event. 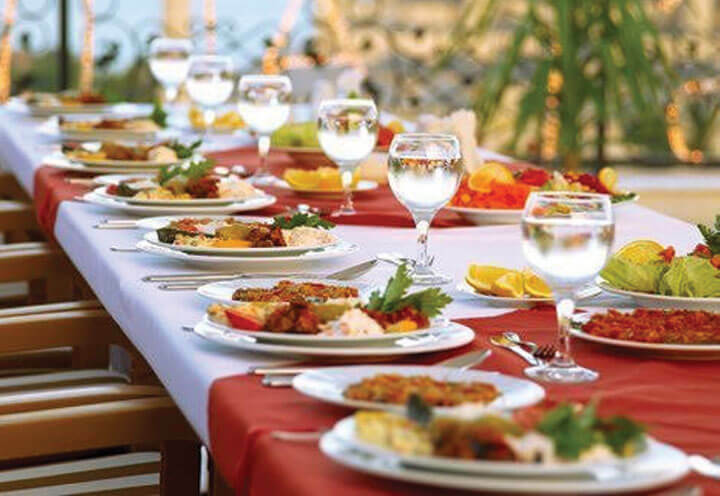 The catering service planner should have adequate knowledge and details about the event, venue, date, number of guests that will be attending the event. Event planner’s expertise in their field and can guide the client on various aspects like an audience sitting arrangement, select between buffet style or sitting style dinner. Working with the checklists and planning plays a pivotal role where you can avoid last-minute turmoil during rush hours, which is a win-win for both the client and event planner. It’s important for a caterer to know the audiences and their food preference. Whether to opt for vegan food, non-veg, Indo-Chinese, Asian food or gluten-free cuisine depends on the season, area and the crowd. Cuisine can be personalised based on client savour and audience preferences. This will curtail food waste. Plan tea break wisely. Proper interlude will keep the audience engaged and prevent from being drowsy as the saying goes “First we eat, then we do everything else.”-M.F.K. Fisher. Planned a morning corporate event? Then delight your guests with a healthy fruit juice or tea/coffee. 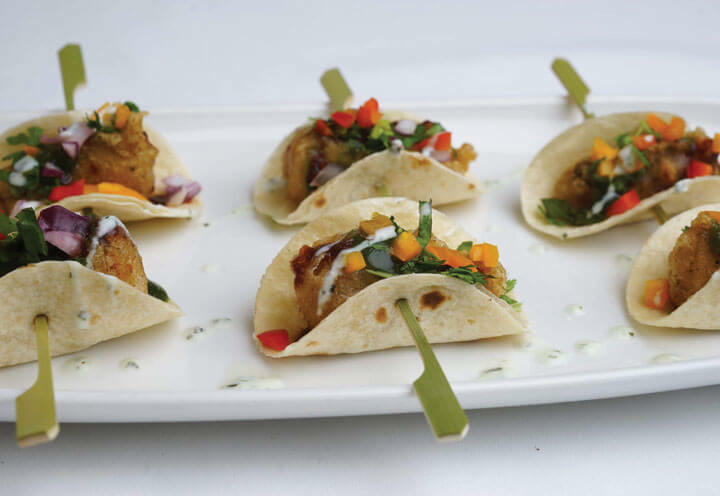 Quick bites like veg/non-veg canapés, finger sandwiches, a veggie wrap, appetizer will be an added benefit. Are you baffled with a menu for lunch and dinner? It does not necessarily have to be too jazzy. You can keep it simple. In recent times, folks prefer fresh tasty and light cuisine. With the help of the Asian food caterer, you can definitely scan the menu and voilà your dilemma settled. An event is incomplete without sweet. Delight your audience a sugary treat of Ice-cream, cream cakes, baked cheesecake or pancake. You can go creative by doing various mix and match with the cake. If you are planning Asian desserts, then Mawa Kulfi, Gajjar ka Halwa, Gulab Jamun, Rubree are a few of the options which one can definitely give a try. Music and Entertainment go hand in hand. If the event permits based on the event theme, you can select either light music, Live band or DJ. If you are planning for drinks, then you can either go for limited beer, cocktails or unlimited drinks. There are various bar packages options available. You can definitely opt for the best options. Indian and Asian caterer offers the unique, authentic, fresh, mouth-watering cuisine. A client needs to plan the date, an event purpose and rest are taken care of by Asian caterer. They consider all aspects related to an event like an event decor planning, staffing, branding, lighting, delicious cuisine, entertainment and many more. These people are professional and are particular about the client image and brand. They keep themselves in other’s shoes and then plan the entire event.